A 1957 tape recording of Ray trying to strum and sing! 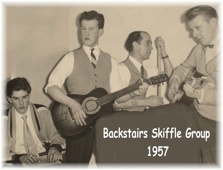 “Skiffle” was basically home-made music and had its origins in 1920’s USA. In 1933 John and Alan Lomax, while collecting American folk songs, discovered and recorded a convicted murderer, Huddie Ledbetter (Leadbelly), in the Lousiana State Penitentiary. Leadbelly was released from prison shortly afterwards and in 1940 he recorded many of the songs that would go on to be Skiffle classics. In the early 1950’s, Ken Colyer, a traditional jazz purist, introduced “Skiffle Sessions” into his gigs in which he and other members of his band, such as banjo player Lonnie Donegan, would sing American blues and folksongs. Donegan, and most of the rest of the band, left Colyer to become the Chris Barber Jazz Band. In 1954 they recorded the “New Orleans Joys” album including Donegan’s version of Leadbelly’s “Rock Island Line”. It was released as a single, became a major international hit in 1956, and the Skiffle craze accelerated throughout 1956 and 1957. 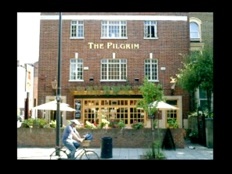 So Ray formed another skiffle group with another mate, Richie Snelgrove, which they called The Pilgrims, named after the pub where they first played. Ray then adopted Pilgrim as his singing name. The line-up was Norman Cope (Guitar), Richie Snelgrove (Home-made String Bass), Johnnie (Drums ) and Ray (Vocals ... and still strumming 3-chords on Guitar). Their major influence by now was Lonnie Donegan and their repertoire included “Diggin’ My Potatoes” and “Wreck Of The Old ’97”. But then more mainstream pop, such as Paul Anka’s “Diana” started to creep in. 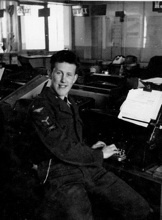 In 1956, Ray Pilgrim was doing his National Service in the RAF, stationed near Blackpool, and first heard live skiffle at the Preston Jazz Club. 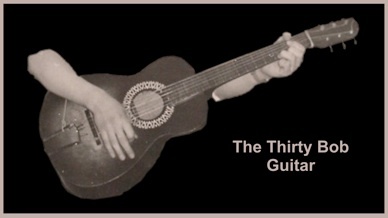 Then, just before Xmas, when Ray was coming up for “de-mob”, a new recruit named Russ, who had played with Chas McDevitt, sold him an old guitar and showed him how to strum three chords. By January 1957, Ray was back in South London, working for Lloyds Bank as a bank clerk. 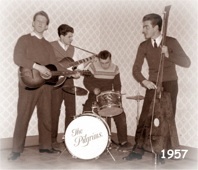 A couple of weeks later, together with his mate Philip Ridgeway, Ray formed The Backstairs Skiffle Group. They played a few gigs, and even won a minor talent contest. The line-up was Philip Ridgeway (Guitar), John (Tea Chest Bass), Keith (Wash Board) and Ray (Vocals and 3-chord Guitar strumming). Very much influenced by Ken Colyer, one of their better efforts was “Go Down, Old Hannah”. Unfortunately John and Keith lived in North London while Phil and Ray lived miles away in South London. So, without transport, getting together was quite difficult and the project fizzled out. By the end of 1957, Ray had moved on to singing pop and rock’n’roll, which was when he was asked to join a semi-pro band called The Earthquakers, who played in various pubs and ballrooms around South London. By the end of the following year, Skiffle was effectively dead as a commercial genre. 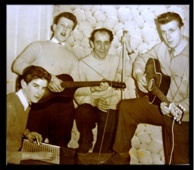 But it is virtually impossible to over-estimate the importance of Skiffle in the evolution of British rock: Lennon, McCartney, Jagger, Korner, Wood, Page, Daltrey, Morrison, and many, many, many others owe their early experience to Skiffle.